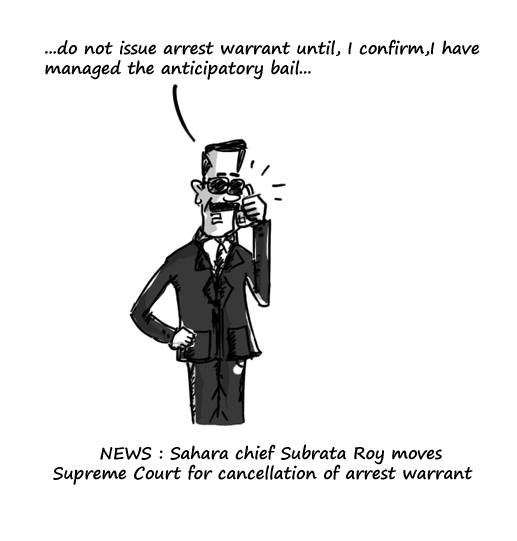 After the cops knocked his doorstep, Sahara chief Subrata Roy moved the Supreme Court against the arrest warrant against him for defying summons and promised to appear in court on March 4 in a long-running case involving his alleged failure to refund investors’ money. I thought I have lost you like many other blogger pals.Celebration times for you yet again! Enjoy !! Enjoy !! 🙂 But you should not forget old pals .. its going to be almost an year since we got pally 🙂 .. time flies by … aint it ??? Thanks for the surprise friend. “Some friendships are like assets …it pinches to loose” love this phrase! Some more golden words from the sage :).